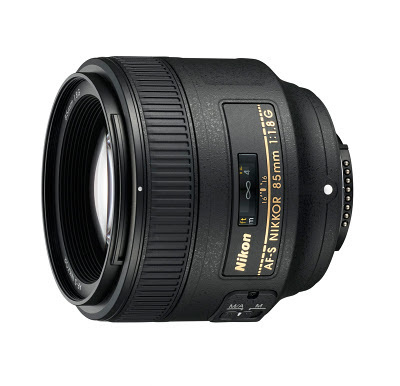 Aside from the announcement of D4, as its new flagship product for DSLR cameras, Nikon also announced the release of AF-S Nikkor 85mm f/1.8G. This new addition to the FX-format lens lineup is a fast, medium-telephoto prime lens with a focal length of 85 mm and a maximum aperture of f/1.8. It utilizes an all new design allowing users to enjoy shooting photos, especially portraits, with pleasing blur characteristics only possible through fixed focal length lenses. This prime lens, which has a fast maximum aperture of f/1.8, is very lightweight at around 350 grams, thus carrying this lens mounted in the camera won't be a burden. The Silent Wave Motor (SWM) that makes a quiet auto focus operations, also makes this glass compatible with entry-level Nikon DX-format DSLR cameras like D5100 and D3100, which are not equipped with auto focus drive motor. Equipped with a Silent Wave Motor (SWM) for extremely quiet auto focusing. Auto focus shooting is also possible when the lens is used with entry-level Nikon DX-format digital-SLR cameras such as the D5100 and D3100, which are not equipped with an auto focus drive motor. This prime lens will be available by March and will have an SRP around $ 499.95 or an equivalent of Php 22,000.00. Hopefully this will be available here in the country by the middle of this year. You may check key features and full specification here.